I’ve read a bunch of books in 2017, I’m currently at 93 aiming for 100 by the end of the year. A few of those have been novellas and short middle grade books but I’ve still read quite a few full length novels which gives me a massive selection for this list. These aren’t all going to be books released in 2017 because I don’t think I’ve even read 10 of those* but instead this list is going to be the top books I’ve read this year. I know I’m not going to be able to find a perfect 10 books, either I will have far too many or not enough of the TOP tier quality I am looking for. But what can you do? I’ll try my best. *I went back and checked and actually I’ve read 11 books published in 2017, however only one of them was a five star read for me, three were three stars and the others were four stars. I think two of them have made their way onto this top ten list. ALSO: this is my first time writing a blog post in quite a while. I pre wrote a bunch before nanowrimo (which I had to give up on) and I also pre wrote enough to cover me until after my exams (which finished on Friday) so now I am going to be jumping back on the blogging train and actually replying to comments and visiting people’s blogs. I read the last two books in this series this year and it has entered the haloed GOD tier of books. When people ask me for my favorite book/series, I so often mention this one, partly because my actual all time favorite series is so obscure (The Obernewtyn Chronicles by Isobelle Carmody) but this series is a close second. The characters grow so much throughout the series, the writing is amazing, and this ending left me with the perfect combination of hope for what’s to come for our characters and disappointment at my own unexciting life. Finishing this book made me want to be a better person and live a better life, and considering it had that impact on me this book has to take the position as my best book of the year. It wasn’t without it’s flaws, I felt like the ending was too abrupt and I’m very annoyed that there wasn’t just MORE of the amazingness, but this series is without a doubt one I will be rereading for decades to come. I have reviews of The Raven Boys, The Dream Thieves and Blue Lily, Lily Blue, and I should have a review of The Raven King up soon but I’ve been a bit off my game with reviews recently. 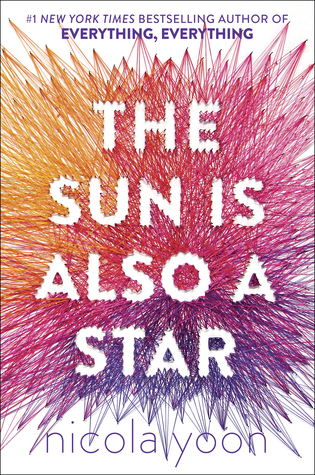 I read this book right back in January and it was an amazing way to start off the year. This book was cleverer than I expected it to be, and the first two books in the trilogy were pretty damn clever. There were so many plot twists and little details that became important later which is my favorite thing in books. 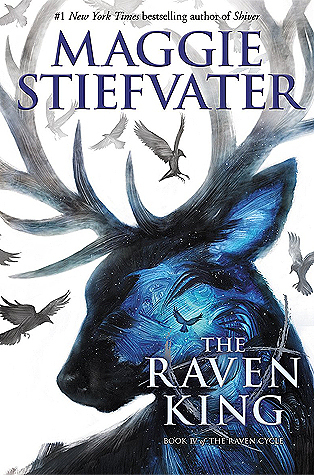 This series is far more about plot than it is about character which prevented me from connecting to it on quite the same level as The Raven Cycle, but what an amazing plot it was. I am in awe of how clever it was, how well it wrapped up, and how well it kept my attention. I definitely plan to reread this whole series soon. If you’re interested in hearing more of my thoughts on the Red Rising trilogy I have reviews on my blog Red Rising, Golden Son and Morning Star. This book was adorable. I read it so quickly (12 hours) and I couldn’t put it down. I loved the mystery aspect to the plot. I was trying to figure out who Blue was the whole time, even when I wasn’t actively reading this book. Most of all I loved the characters. Both Simon’s family and his friends were so well developed. The whole cast of this book felt real and that was definitely one of the strengths of this book, it felt like it could have been happening at my school. It was just that well written. I recommend this book to genuinely everyone, and I am so happy that it’s being made into a movie so people outside of the book community get a chance to experience how great it is. 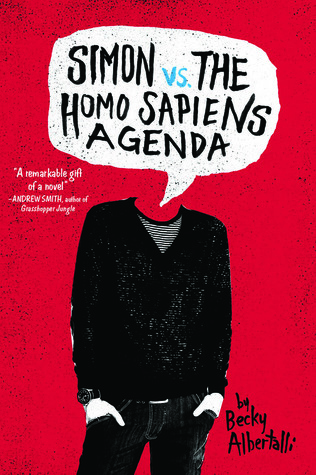 I have a review of Simon vs. the Homo Sapiens Agenda if you’re interested in hearing my further thoughts. One of my friends has been trying to get me to read Six of Crows since it first came out, and I’ve heard a heap of chatter in the book world about it so I expected amazing things. Books are never quite what you expect. So when I read the first book in August this year I was mildly disappointed that I wasn’t as obsessed as I expected to be. 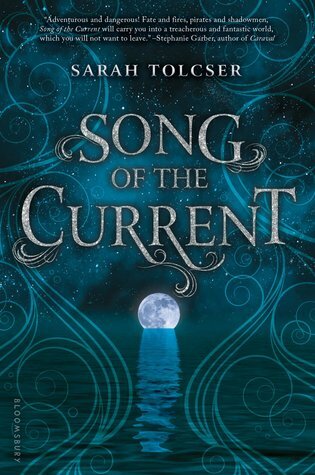 I liked how much more vulnerable the characters were in this book, and I liked all the nods back to the previous trilogy (which I did take the time to read before getting to Six of Crows). I really enjoyed the scenes of bantering and the interactions between characters who hadn’t really chatted one on one before. I have a review of Six of Crows if you want to hear more of my thoughts on the duology. This book was there for me at exactly the time I needed it. It encompasses a lot of my opinions of love and relationships. I loved the writing style and the whole message of the book. I know some people say this book is to insta-lovey but I think that’s a part of the point of the book. This book made be believe in love in a time when I was questioning its existence, then smashed that belief into a thousand tiny pieces. I just don’t really know what to say, I just loved this book so much. I really needed to read something cute and hopeful and this was that book for me. This book was so important, and the characters were so amazing. I found it really easy to get into, it made a lot of references to pop culture type things and Angie Thomas really captured the personality of the teenagers. The family relationships were also great, I loved Starr’s parents and the relationship she had with them. This book tackled a lot of issues that really needed to be discussed and I know a few people who don’t usually read who were convinced to pick up this book and I think that’s the mark of a really good book. The only reason this book wasn’t higher up on this list was because it didn’t really speak to me. I did still really enjoy it, but I know to some people this book was off the charts amazing and to me it wasn’t quite there. I don’t know whether that’s maybe because I’m from Australia not America so the issues this book touched on weren’t quite as relevant to me and I couldn’t quite relate to the events. I really enjoyed this book. It was interesting to read something that wasn’t YA. The plot twists shook me to my core, they were so amazing. I really enjoyed piecing together the little bits of information that different characters knew so that I could get a whole picture of what was going on. 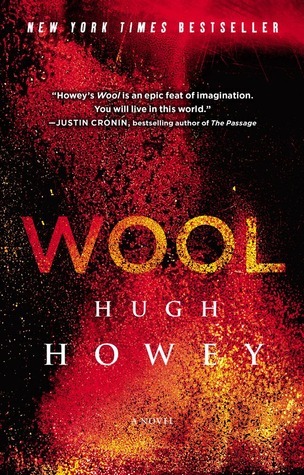 I loved the world building of this book, and I enjoyed how specifically relevant it was to our current world situation. I think this is a great book for anyone who likes dystopian novels along with YA readers who are looking to branch out into adult novels. This book was really different to the first book in the duology. The character development felt realistic even thought I didn’t like it, and it was interesting to have a more personal focus in this book than the primarily plot driven story we got last time. I did feel like this plot was lacking, but the book packed such an emotional punch there was no way I could be mad. I loved how well this book wrapped everything up. It was such a satisfying conclusion to the series that didn’t feel too easily accomplished. The character dynamics were amazing and it was good to see interactions between some characters I hadn’t seen chat before. 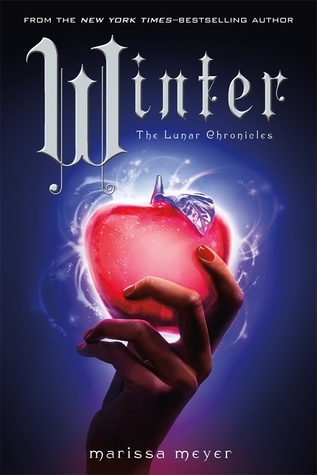 I have reviews of all the books in this series, Cinder, Scarlet, Cress and Winter if you’re interested. 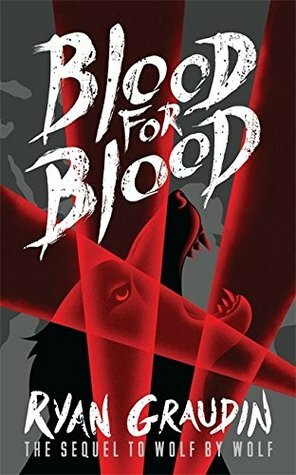 This book was really different to anything else I’d read and I’m kind of dissapointed I haven’t heard more people talking about it. It was released this year as a debut novel and it’s about pirates and boating. I really think more people should read this book. Some of the world building was unexplained, but it was never confusing. I am looking forward to reading the sequel next year. The character development was pretty amazing. Both of the main characters grew and evolved over the book in what felt like a really natural way. I also felt like the relationships that developed were good and healthy and that was adorable to see. what books made your top ten for the year? 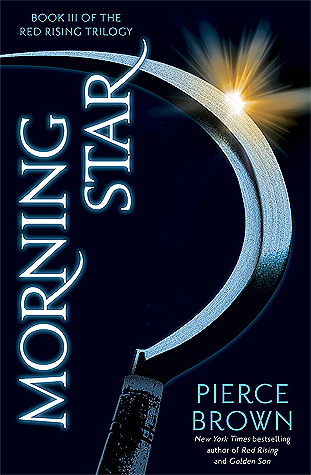 I loved Morning Star! It was one of my favorites last year. I really need to reread the trilogy at some point. Simon vs. is also one of my all-time favorite books. Are you planning to see the movie? I hope it does this amazing book justice! The Hate U Give was on my list this year, and I highly recommend reading Dear Martin as well. I do plan to see the Simon vs. movie, it looks like it will have a similar vibe to the book even if the plot isn’t exactly the same so hopefully it’s good. Dear Martin is on my TBR but I just haven’t gotten to it yet. The Hate U Give is one of the books I should have read this year but still haven’t. However, I haven’t heard a single soul not LOVING it, and I have no doubt that I should read it and enjoy as well. I love the spotlight it’s been getting, and all of the themes it touches upon interest me a lot. I shouldn’t postpone it anymore! IT IS GETTING DONE! YES! You totally need to read The Hate U Give. I loved it and the messages it included were so important. I really need to read a Maggie Stiefvater book. Her work is on all the lists today. YES! I love her writing. Great list. 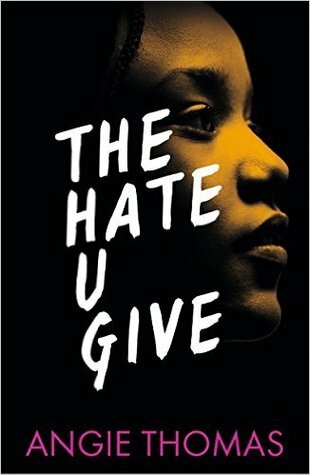 The Hate U Give definitely made my top 10 also. Glad to hear you liked Winter. I read Cinder and loved it, but never picked up any of the other books in the series. I love a good fractured fairytale! Cinder worked quite well as a stand alone but the series was very fun to read. It only diverged further from the fairy tale as the series went on. I’m glad to see I’m not the only one who enjoyed it! I have the second one on my bookshelf right now and I can’t wait to read it. So many good books on your list! Crooked Kingdom and Simon vs. are two of my favorites from previous years. 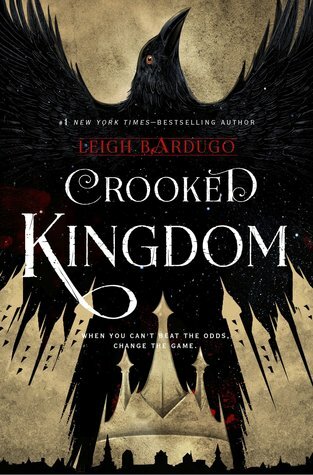 I can’t believe I’ve only read one book on your list, Crooked Kingdom! But I want to read The Hate U Give, I hope to get my hands on it before the end of the year. Ooh yes, if you can get your hands on it I’m sure you’ll enjoy it.